Hi my fuel gauge reading wont get to empty. Ive have ran my tank dry and got stuck. Any tip to fix it. Last edited by Mud Dog on Thu Oct 27, 2016 3:05 pm, edited 1 time in total. The problem could be originating from the sender unit in the tank. That's where I would start unless this is a common problem with your model where the problem is with the electronics or the gauge itself. Tnx. So i must replace the cluster unit. Hello everyone, update on the issue the cluster was replaced and the issue is still there. My fuel gauge doesnt drop to empty level it gets stuck on quarter empty level. What else can cause this problem. As I said earlier, the problem could be originating from the sender unit in the tank. This is generally more common with older vehicles as the sender units are quite robust and take a long time to wear and develop problems, but if you're in the habit of riding with a ½ or ¼ tank of fuel rather than keeping it topped up, the fuel will sloshing about much more and the float swing-arm will also be more active, particularly in the lower range of the movement. The way it works is there is a contactor that slides up and down over a winding on a plate as the float moves up and down, and this is where the wear takes place. Unfortunately to check it you will have to remove it and that means dropping the tank. I dont know if you still have this problem. 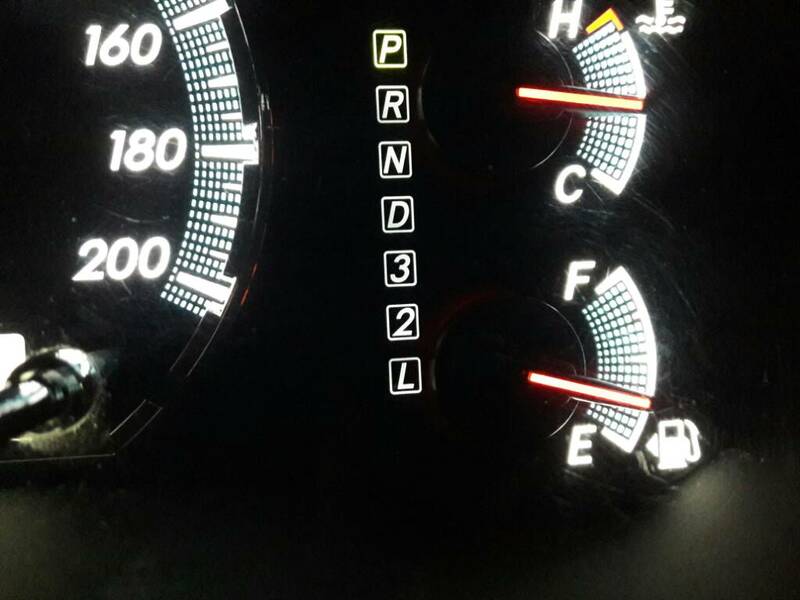 Did you replace the cluster with brand new one or second hand one? We have found that alot of these clusters give this problem. We have always just repaired the cluster and the problem was solved. If you got a second hand cluster, chances are good that it was already broken. That looks like a cluster for a Vigo..yes? Disconnect the 5-pin pump and guage connector at the tank. Fuel guage must show E..for empty..as in nothing..all the way down. If not - then it might be the cluster, or in some cases the harness (which I doubt). 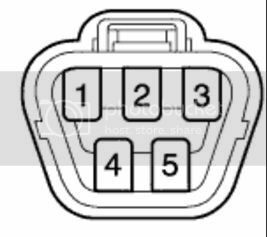 On the 5-pin plug (harness side): short out pins 2 & 3. It must now show F..full.. If the above tests correct, then only I will start looking at the sender unit. Aikona take out tank yet..that is a murske job. First I will try and find out the resistance measurements for the sender unit at pins 2 & 3. ..then do the testing with a multimeter. At empty the measurement should be very close to open circuit. At full something like 8 ohm or so. hi there! im trying to fix my problem also. it doesnt go to empty and gets stuck between half and 3/4 full. looking at it my best guess would be to replace the stepper motor, but it doesnt make sense as it does go thru the full range when you start the car? what did you do to fix yours sir? Did you unplug the plug at the tank like Dirka said in his post?